Could the fix for Afghanistan’s opium economy be in your pantry? In the mood for some saffron tea or saffron-infused asparagus salad? Kimberly Jung, a Harvard Business School student and former Army officer, hopes so. 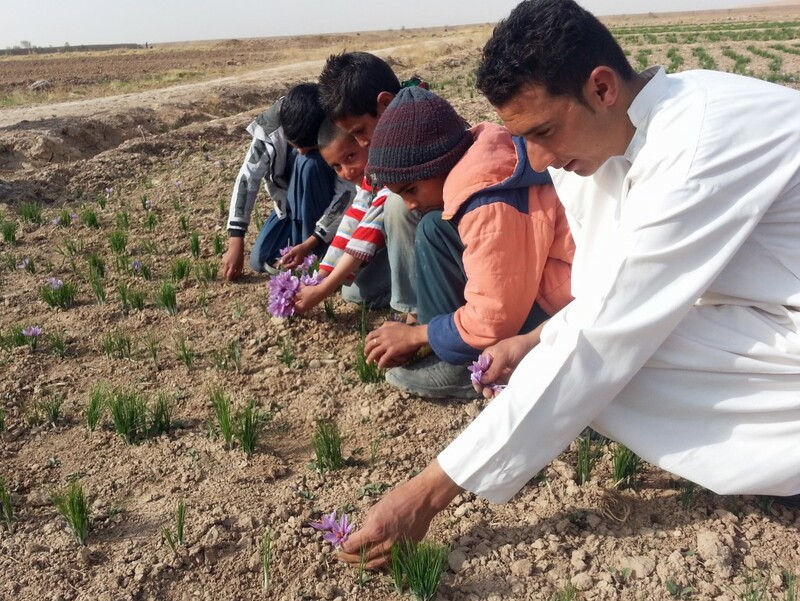 Last year, she and other military veterans established a business called Rumi Spice that incentivizes Afghan farmers to grow saffron — rather than illegal opium poppies — by providing them a market to sell the exotic spice in the United States and elsewhere. In 2010, Jung was deployed in Afghanistan, leading a platoon in Wardak and Ghazni provinces, and later worked with a Provincial Reconstruction Team. The team was tasked with helping Afghan villagers elect leaders to a regional women’s shura or council, but the women they encountered were preoccupied with how they could access health care, medicines and school supplies, said Jung. “It just felt a little like we weren’t meeting their needs because we weren’t listening,” she said. “That experience really shaped how I thought about economic development in third world countries. The Boston-based for-profit Rumi Spice — named after the 13th century Persian poet and scholar — deals with farmers in the fertile regions of Herat in the west and Wardak in the central east. The farmers and their families grow the purple-flowered plant in the dry, light soil and separate the stigmas from the blossoms. Rumi Spice purchases the bright red-orange saffron threads and resells the quality-controlled product to spice stores and restaurants. Members of the public can buy gift packages in the online shop. Opium cultivation in Afghanistan reached a historic high last year, according to the most recent annual United Nations survey. 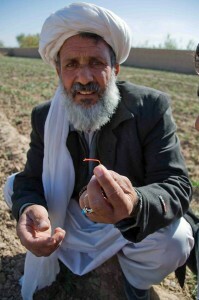 The Taliban taxes opium production, and Rumi Spice’s organizers hope that buttressing the saffron farmers will help cut off that income source. 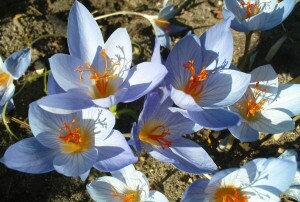 Afghan President Ashraf Ghani earlier this year named saffron as an agricultural product that could boost his country’s development. The market that Rumi Spice is working to cultivate worldwide includes the “mommy blogger” demographic that buys organic and fair-trade products at Whole Foods, the group says. Jung hopes the appeal for the exotic but pricey spice soon will spread to everyone who enjoys an aromatic and flavorful meal. “There’s a lot of potential to unlock the market in the U.S.,” where Middle Eastern food is growing in popularity, she said, adding that saffron could take off like relatively recent successes kale, Gouda cheese and acai berries. Saffron is a key ingredient in Indian desserts, Jung added, and the group is working to enter that market as well. 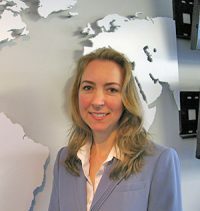 Her future plans also include marketing other Afghan-sourced products in the U.S., such as cumin seeds, raisins, apricots and pistachios. “Afghanistan is a bread basket,” though people tend to more closely associate it with war and terrorism, said Jung. “What we’re trying to do is to bring Afghanistan into the international economy and connect people,” she said, and what better way to bond than over food. Soak pistachios in water for at least 3 hours. Rinse the rice under water and place in a pan. Add half of the milk and stir. Cover and cook for 15-20 minutes until soft. Add saffron, cardamoms, sugar and remaining milk. Simmer for about 10 minutes or until the rice mixture thickens. Decorate with whole pistachios. Serve hot or cold.